For over 100 years, the Girl Scouts continues to be the world’s preeminent organization dedicated solely to girls where in an accepting and nurturing environment, girls discover the fun, friendship, and power of girls together. 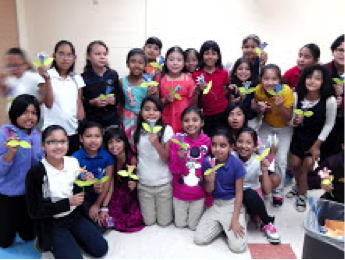 Girl Scouts of Greater South Texas (GSGST) is 20,000 STRONG with 17,000 girls and 3,000 adults that services 26 South Texas counties. We are committed to providing a Girl Scouts Leadership Experience to girls ages 5-17 that inspires and motivates them to take action for themselves and their world. We have 5 Service Centers located in Corpus Christi, Harlingen, Laredo, McAllen, and Victoria. 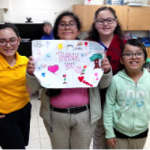 With the funding that has been received from the Lamar Bruni Vergara Trust, Girl Scouts of Greater South Texas has been able to deliver the Outreach Program to girls throughout Laredo and its surrounding communities. 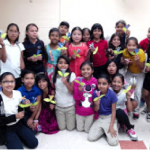 The Outreach Program brings the best of the Girl Scout Leadership Experience to girls living in socio-economically challenged areas at no cost to the girls or their families. 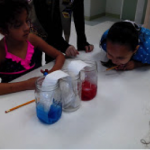 The funding is used to subsidize the girls’ Girl Scouts membership fee, program material, program supplies for the in-school program.